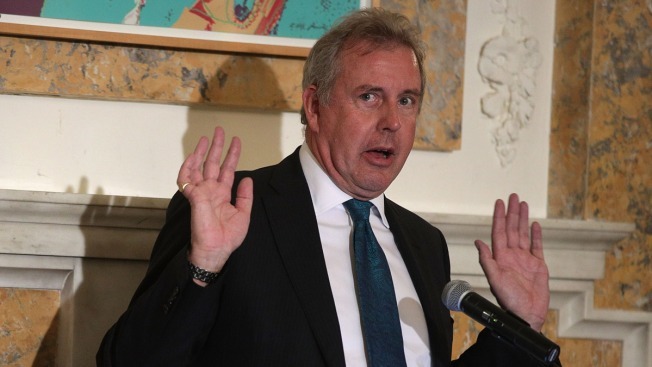 In this Oct. 20, 2017, file photo, British Ambassador to the U.S. Kim Darroch speaks at the British Embassy in Washington, DC. Darroch on Sunday said Britain has ideas for dealing with U.S. President Donald Trump's concerns about the Iran nuclear deal. Britain's ambassador to the U.S. said Sunday his country believes it's still possible to address President Donald Trump's concerns about the Iran nuclear deal in time to prevent him from pulling out of the agreement. Kim Darroch said Britain has ideas for dealing with those concerns. They include Iran's ballistic missile program and its involvement in Mideast conflicts, issues that aren't part of the international agreement. Trump also objects to the accord's sunset clause, which allows Iran to resume part of its nuclear program after 2025. "We think that we can find some language, produce some action that meets the president's concerns," Darroch told CBS' "Face the Nation." The deadline for Trump's decision is this coming Saturday. Britain's foreign secretary, Boris Johnson, has scheduled talks with U.S. officials in Washington this week. His trip follows visits in recent weeks by the leaders of France and Germany, who also tried to convince Trump to stick with the agreement. All three European countries signed the 2015 deal, along with Russia and China. In an op-ed Sunday for The New York Times, Johnson wrote that the agreement offered the fewest disadvantages of all the options available. "It has weaknesses, certainly, but I am convinced they can be remedied. Indeed at this moment Britain is working alongside the Trump administration and our French and German allies to ensure that they are," he wrote. Iran's president warned Trump on Sunday that leaving the nuclear deal would be a "historic regret." The chairman of the House Armed Services Committee also advised against pulling out of the accord without a clearer idea of the consequences and urged Trump to give the Europeans time to address his concerns. 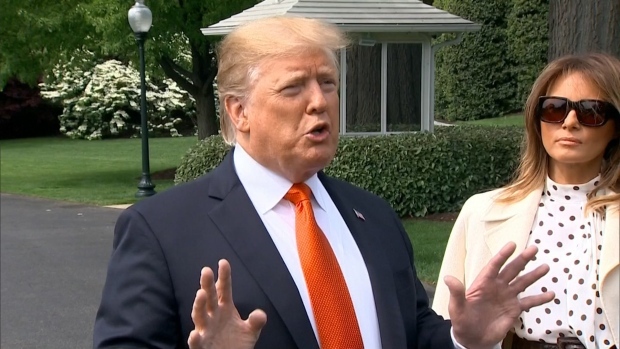 "So maybe the best thing is for the president to delay a bit more his deadline of this month and put the French and the British up to the test about whether it is possible to get this other sort of agreement," Rep. Mac Thornberry, R-Texas, said on "Fox News Sunday."